Amazing pen with built-in maze with metal ball inside. Colour of the ink: blue. 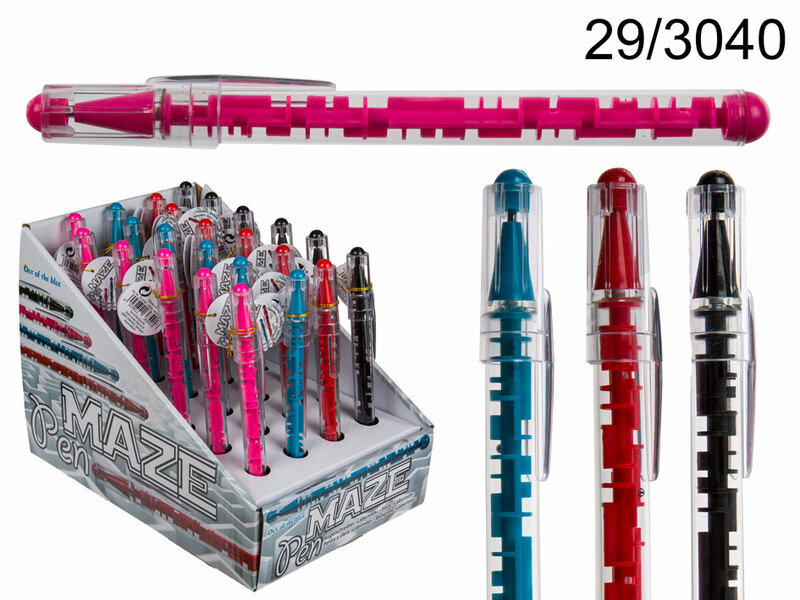 Awesome pen for every lover of eye-catching pens. Great stationery item for both home and office. Several colours available - assorted. The given price is for 1 piece. When buying 24 pieces display stand is free of charge. Dimentions: 15 x 1 x 1.5 cm.